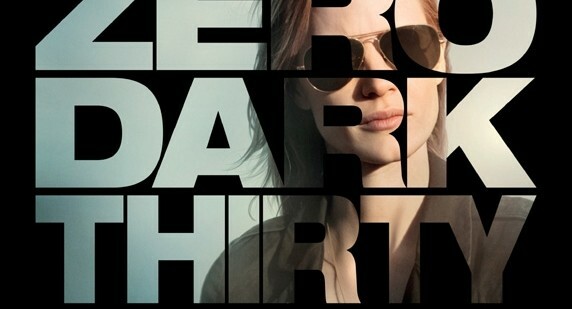 When film blogger JustMeMike and I agreed back in November to have a conversation about Zero Dark Thirty (which we’ll abbreviate to ZD30 for ease – and which is, of course, the dramatic tale of the CIA’s pursuit of Osama Bin Laden), I had no idea that it would receive as many raves, nor so many political criticisms. My main concern (which I voiced to JMM beforehand): that I’d be disappointed by Kathryn Bigelow’s much-anticipated follow-up to The Hurt Locker, for which she won Best Picture and Best Director prizes at the 2009 Academy Awards. High expectations, attacks from both sides of the political spectrum (from the left over the film’s depiction of torture; from the right over whether the filmmakers gained access to state secrets), and then the Academy failed to nominate Bigelow for Best Director this year – how does one watch a film fairly given all this chatter? No worries about spoilers for the first half of this long conversation – we’ll warn you when we switch over to spoiling big plot points. JMM: Hi Didion. I’ve been really looking forward to this just as you have. So let’s get this thing going. You mentioned that you were afraid that your expectations for ZD30 were high. Now that we’ve both seen the film, I’ll lay my cards on the table first to say that I was not disappointed at all. Just the opposite — I felt the film was great. What about you? Didion: I so agree with you. I left the theater in tears, due to a rush of conflicting emotions. I can’t quite believe Bigelow was able to convey these so effectively. I think it’s a really major film — better than anything I’ve seen this year. Yes: fear of high expectations due to the threat of disappointment. 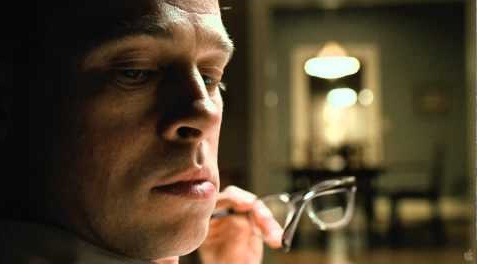 But I’d also read relatively little about the film itself beforehand, so I didn’t realize quite where it would take me. Can I just start by saying that the opening 1-2 minutes of the film were possibly the most amazing way to get a film started? JMM: You mean the WTC audio? JMM: The WTC voices over a blank screen led to a CIA black site was a seriously affecting jump. Especially since we have no idea of what we will see. Were you amazed because of the unexpected transition or just the impact of the voices taking us back to 9/11? Didion: Yes: what was so amazing for me made me relive a bit of 9/11. The voices we hear are not ones we heard that day. But you find yourself lost in thought, remembering where you were. And, hence (in my case at least), realizing the extent to which that one day caused a cultural trauma for so many of us. It put me in mind of sitting in a room at school where someone had set up a TV from the A/V room so we could gather and watch the events unfolding. Surrounded by my colleagues and students, all helplessly watching something unthinkable. And then I went home and didn’t stop crying for, what, 24 hours? 48 hours? a week? two weeks? Now, I don’t quite know how Bigelow knew to do this, or knew how it might affect people in theaters. Or how she chose the voices she did. But it was an amazing way to frame this film, because I think ultimately its tense action scenes are subsumed under its attempt to tell us something about the big wound we’ve all had for the last 11+ years. JMM: Some have questioned the legitimacy of using those voices — after all, someone could recognize them. I’ll leave that for others to decide. For me the framing was totally unexpected. I even wondered if this was a malfunction in the theater. You know — a gray screen — but I moved past it. As for me, I was crossing the Hudson River from Manhattan to New Jersey, and we were able to see the smoke and flames while on board the ferry. Later we watched on TV and from our own office windows. Yes, we were helpless as well. JMM: I find the comment you make about the wound we’ve lived with these many years interesting. It will never leave us — either as individuals or as a nation…. Didion: Can I ask you something about the film as a whole that’s been debated publicly? Torture. I was prepared to arrive here today and dismiss the charge that the film advocates for torture as a means of getting information. I could certainly develop an argument that falls in line with what Bigelow and screenwriter Mark Boal have said: that it represents the perspectives of CIA figures without endorsing those views. But honestly, I believe the film gets as close as possible to arguing that torture leads to information — even as it also says that torture helps to procure a bunch of misleading, incorrect, and distracting information as well. And I’m not sure how I feel about that. 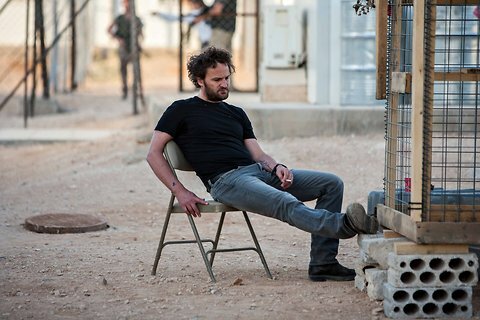 JMM: I think the crux of the matter about the film’s position on torture in indeed ambivalent. 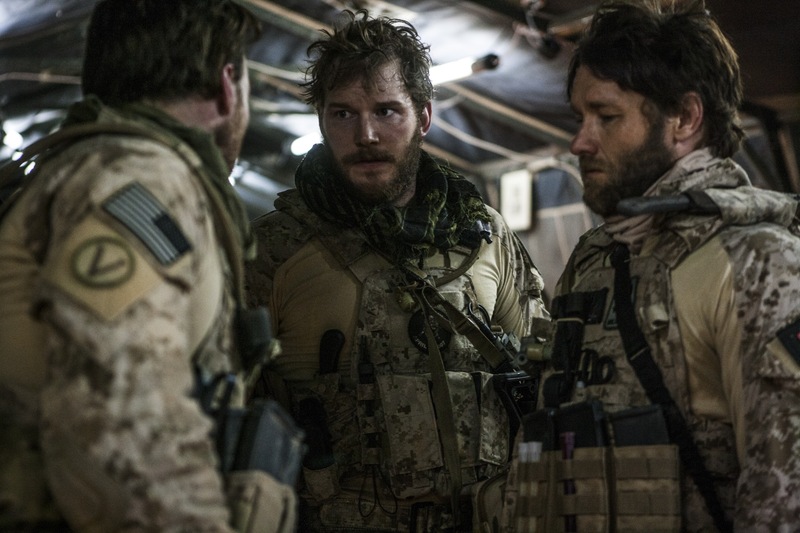 Those who have decried the film claim that film glorifies torture and that the film misleads by implying that torture led directly to discovery of enough information to mount the Seal Team operation. I don’t agree with that at all, and here’s why. The first torture scene is two years after 9/11. Not much was gleaned from this particular detainee. 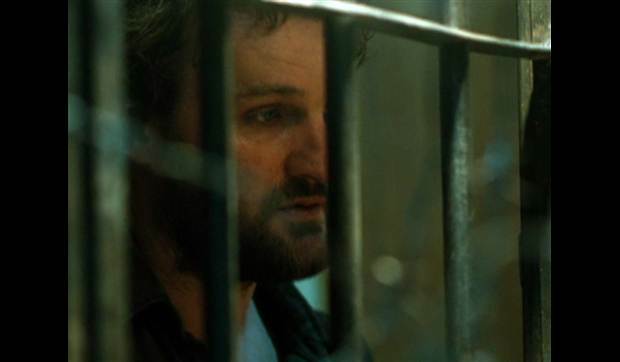 The film hardly glorified torture because both Dan and Maya were shown to suffer from being participants, and finally the reality of the process was that it was a combination of dogged detective work which included the sifting through mountains of paperwork, intercepted phone calls, and the development of information provided by informers. That’s why the mission wasn’t mounted until 2011. So yes, torture was a part of it — but not the only part nor the most important part. Didion: Really nicely put, JMM. I agree with everything you’ve said; indeed, this is a film that celebrates the dogged pursuit of reasoned, intelligent analysis of masses of information. Too right. This film also makes it clear that this work is hard on its analysts. Not just because they’re in danger while they live abroad, but because they are so determined, so single-minded, that they lose track of other things in their lives. This might as well be a scene of my office. Except let’s just say the end result of my research doesn’t exactly seem as important as Maya’s. In saying that, I don’t want you to think this is one of those films that pathologizes Maya’s determination, or suggests she’s a pathetic example of a woman with no love interest, no family back home (a tired movie trope if ever there was one). Those things are true, but I thought the film was good at saying thank god she threw herself into her work. JMM: She certainly did throw herself into her work. By the way, have you any reactions to the way she was perceived first by Dan, then by the CIA Station Chief Joseph Bradley, and finally by the CIA Director? Didion: Right you are to note that I am sometimes prickly about these portrayals! Dan: Don’t you think she’s a little young for the hard stuff? Bradley: Washington says she’s a killer. What does all this mean? 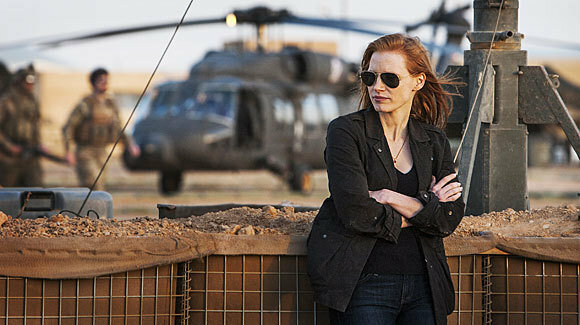 I think Bigelow chose a frail-looking, wide-eyed actor like Chastain precisely because she’s capable of provoking conflicted emotions in people. The jolt of realizing that someone as innocent-looking as she could be relentlessly single-minded is brilliant. Does this jibe with you? 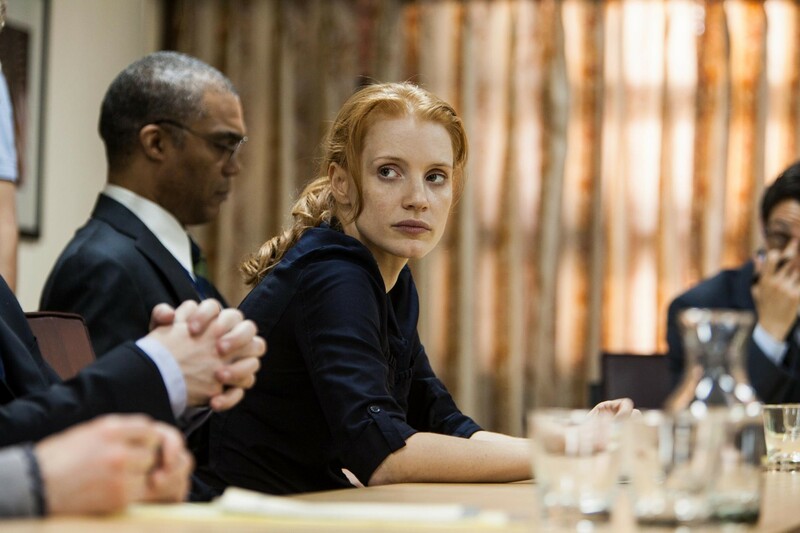 And what did you think of Chastain more broadly in the role? JMM: It wasn’t her physical stature — the other woman analyst, Jessica (Jennifer Ehle), was a bigger woman — it was the fact that they chose this work and lived it 24/7 with such an amazing devotion to it. Some have said Maya was obsessed to the point of being psychotic, I don’t agree with that. But yes — the choice of Chastain as the focal point was not something you might have foreseen. 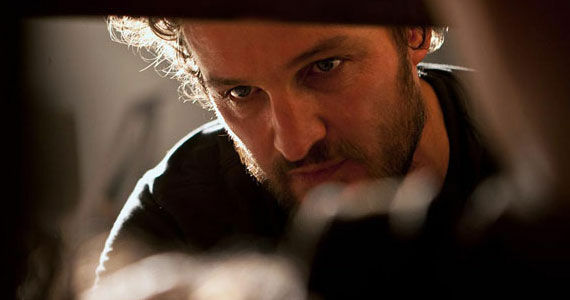 It was a great decision, and I’ll give Boal the credit for writing the screenplay that way. From another perspective — I read that Rooney Mara was also considered — but then we would have had the same physical type (tiny woman, big eyes) anyway. So using Chastain was definitely a major plus. Which leads to another question. Which male character did you think had the biggest impact on you? Didion: I’d like to say one quick thing about Chastain: she didn’t always work for me. I almost feel like a traitor for saying it, because by the end of the film I saw so clearly why she was a perfect choice for the filmmakers. I believe it’s because there’s something just so jarring about her waves of great hair, no matter where she’s stationed. And there are a couple of scenes early on when I had to fight to believe she really was a CIA analyst. But as I say, by the end of the film it all worked for me. 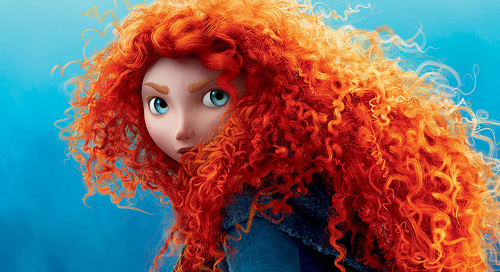 Damn you Chastain and your awesome hair. I love your question about the most effective male character, and it’s hard for me to answer. 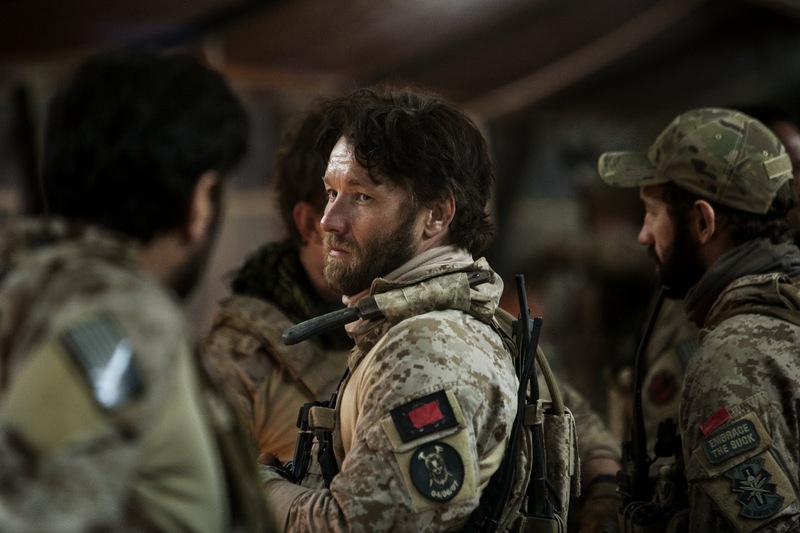 I think it was Patrick, the squadron leader played by Joel Edgerton — from late in the film when the team finally gets permission to go ahead with the capture/kill plan. He’s the member of the squad who seems most anxious about the plan. His trepidation is so beautifully portrayed. JMM: Let’s back up a bit — you held Chastain’s looks against her earlier in the film? I wouldn’t have expected that from you. This very fact that she wasn’t a plain Jane with dull clothes and whatever to play down her looks seems to me that you would have objected to that…. In retrospect I think Bigelow made choices early in the film to create doubts from the audience about Maya. Can she handle a suspect being tortured? Can she get the higher-ups to buy her theories? All of this is important to see Maya’s development over the course of the film (and the many years intervening). But as I watched those early scenes (the first hour, even?) I wasn’t sure Chastain was the right choice. This is what I meant to say. JMM: Okay. I have it in focus now. Staying with Chastain’s development — I think very early in the initial torture scene, Dan and Maya go out, then return but before they return, he asks her if she wants the black balaclava mask, and she says no. That established her toughness for me right then and there. But that’s not the actress — that’s the script. Back to the male actors. Just so I know we are talking about. There’s the scene with one guy sitting on a couch and the other tossing the horseshoes. The one tossing them says, “You really believe this story? Osama Bin Laden? 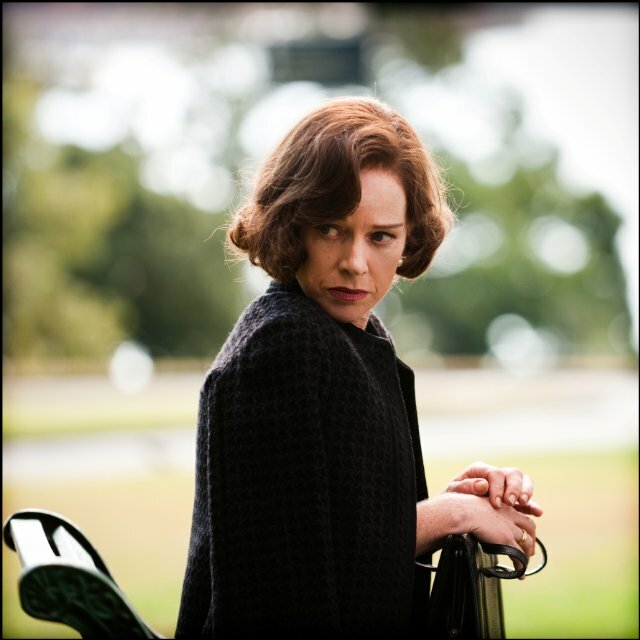 Which part convinced you?” The other indicates Maya and says, “Her confidence.” Which one of those was Edgerton? 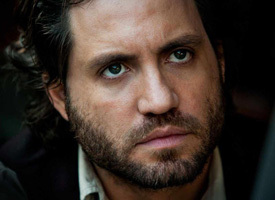 No one in film can do this face like Édgar Ramírez. Mmmm. 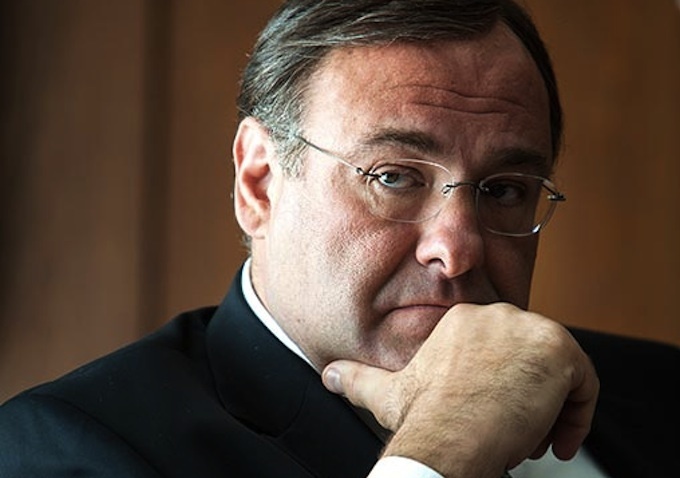 And: “Oh, I’d forgotten James Gandolfini would be in this! Hey, that’s Elizabeth Bennet from the 1995 Pride and Prejudice!” Very tiny complaints, but it did distract me a bit. Especially because I found the discoveries of no-name actors like Jeremy Renner and Anthony Mackie from The Hurt Locker to be so wonderful. JMM: I recognized Mark Strong, and Duplass, Gandolfini of course — but I didn’t have a problem with them. They were identifiable actors in roles we didn’t have names for. Gandolfini was the CIA director — but I don’t think he brought anything to the role — so yes — you’re right to take Bigelow’s to task for the use of those actors. 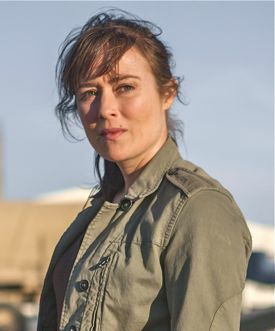 Not Lizzie Bennet, but rather Jennifer Ehle as CIA agent Jessica. Didion: A couple more questions before we cut to the latter part of the film (and warn people about spoilers). First, was there anything about the early part of the film that didn’t work for you? JMM: Not really. I went in knowing how the story would end, but not the film. Likewise I didn’t know how the film would begin — but I thought it would be a slow start and gain speed as it went on. So I won’t say that the early part didn’t work — instead I’ll say that I liked the latter parts better. Do you have something in mind that didn’t work for you early on? Didion: Not at all. In fact, I realized after about an hour: that Bigelow has done something truly wonderful in showcasing the work of all these lower-level, on-the-ground individuals working so hard to figure out problems. To focus on them rather than the politicians or the generals isn’t just refreshing; I actually want to say it’s democratic. Another question: which male character proved most vivid/important for you? Can I be honest with you? I am bad news. I am not your friend. I am not going to help you. I’m going to break you. So his character arc was very rewarding for me. In fact he was one of the few characters who really changed within the context of the film. Do you agree? Didion: He was great. A very appealing person — you can see how he was able to play the good guy during his interrogations but also capable of jarring brutality. I also liked the fact that you saw him age by the near-end of the film. It showed what this work does to people. Okay, shall we switch to the film’s last hour or so? SPOILERS AHEAD! 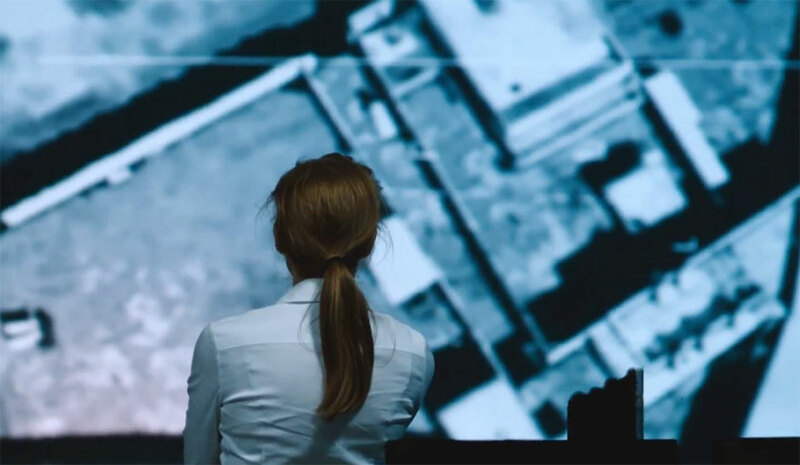 Once Maya gets her suspicions confirmed and the CIA commits to an operation to attack the compound in Abbottabad, the film shifts into overdrive. And I don’t mean it becomes a Tom Cruise-like action film. I thought the methodical, terrifying, and nerve-wracking preparation and detail of the compound scenes were some of the most amazing sequences I’ve ever seen on film. What do you think, JMM — did that work as well for you as it did for me? JMM: Did it work for me? Absolutely. In fact, this was easily the highlight of the film. 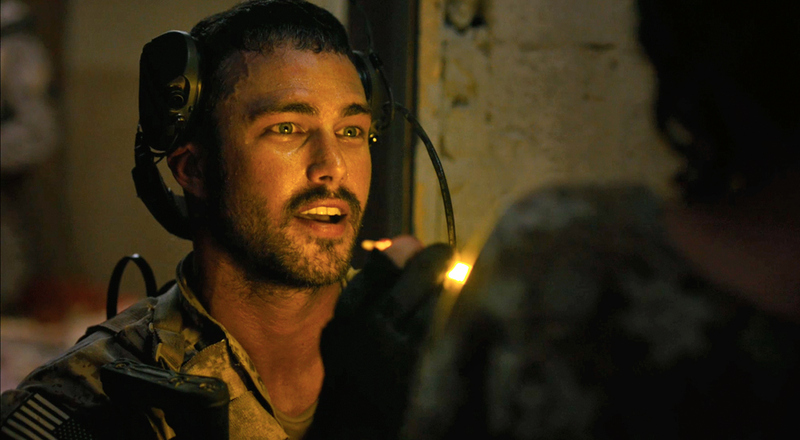 Since we all knew the outcome of the mission, could Bigelow and Boal still make it exciting, and scary, and filled with tension and even fear? I think they easily hit a homerun with that. 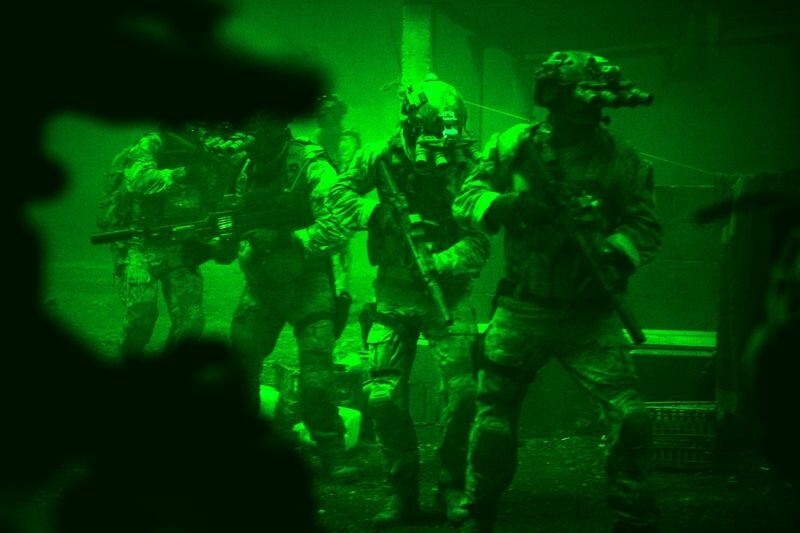 The fact that nearly all of the mission was viewed through the night vision goggles — gave the scene an otherworldly feel to it. The creeping around corners, or up the stairs…. We were placed in their shoes and we didn’t know who or what would behind the next doorway — this was just a brilliantly planned, conceived and executed piece of film. What was it that you felt about it. Was it the feelings the scene created for you, or was it the technical visuals that made it work for you? Didion: Exactly. 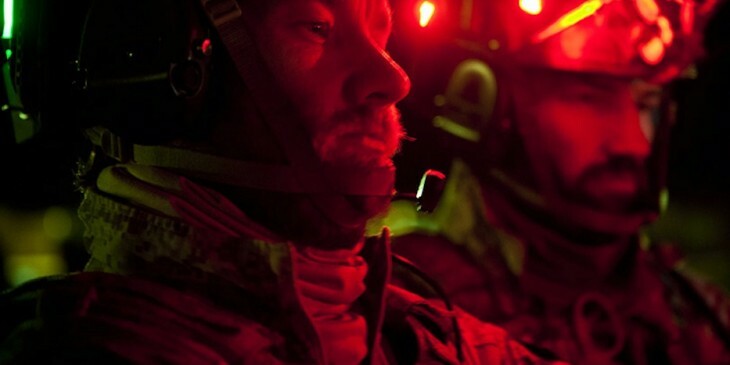 The night vision goggles, interspersed with shots from the helicopter — absolutely gripping. But not in a typical action movie way — for maybe three big reasons, as I see it. First, there’s a moment before the operation when one of the squadron figures (is it Patrick?) warns her that he has lost men in previous missions. I don’t know how to emphasize this enough: the film somehow manages to emphasize the real risk of the operation in a way that seems both gentle and devastating. Second, the scenes of the entire mission are lengthy and fraught, almost as if it was done in real time. If there’s one thing Bigelow is a true master of, it’s developing a highly detailed and realistic military scenario that doesn’t glorify its characters, but rather emphasizes the true danger. Is there any other director who can do this? And finally, when was the last time you saw a film that relegated its star to the sidelines for such a crucial sequence? I’m blown away by the fact that this entire part of the film hardly shows much of Maya at all. There’s something about the fact that she, like us, had to experience it vicariously. I keep emphasizing that this isn’t an action movie kind of sequence. And yet perhaps I’m not quite putting that right. It made me so nervous I almost had the shakes! JMM: Great point: the star is absent from the encounter. I thought so at the time but hadn’t thought of it since. Marvelous way of setting her aside and relegating her to watching it as we did. The second point is also quite telling — in most previous Bigelow films, I also thought that action was handled not only masterfully, but also in a way that marked it as quite different that the kinds we were used to seeing.. Your first remark — about reinforcing the elements of danger and high risk — Bigelow outfoxed me on that one too. I expected a shooting casualty — not that a whole chopper would go down. 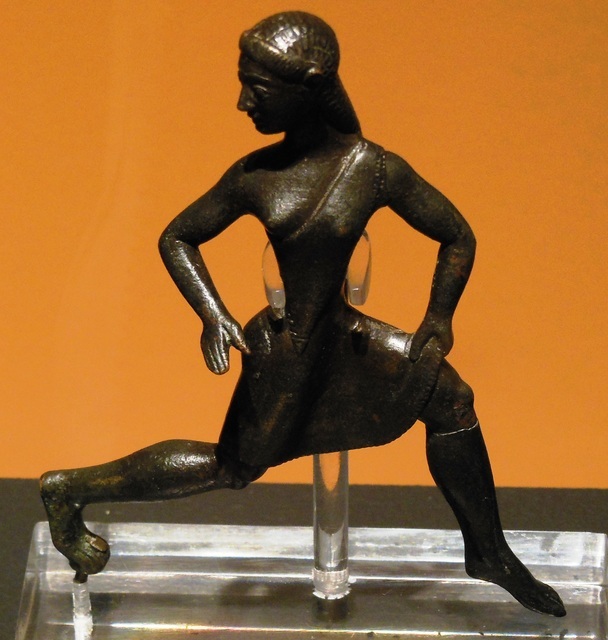 I wondered about the final accounting of the body. We knew from the news reports and Pentagon briefings that the body had been disposed of at sea. How did you react about the fact that Boal and Bigelow decided to NOT include this? Didion: Isn’t it strange — I didn’t think about the issue of the body at all. But I was so moved by the fact that they showed very little of the body. Again: what kind of Hollywood film doesn’t show a bloodied body? We saw more of the other bodies in the house than we did of OBL’s. JMM: I figured since we never saw an actor portraying Bin Laden — there was no need to show any material views of the corpse. Didion: And let me say I think this was an extraordinary choice to make. There is no grandstanding. I loved the moment when one of the SEALs says to the shooter, “You killed the 3rd-deck person” in a way that seemed incredulous. None of them can quite absorb the moment. The fact that it’s surreal for them makes it all the more surreal for us. JMM: I’m with you on that. No grandstanding or flag waving. No one could use the term jingoistic to describe it. There was one scene that caught me completely by surprise. In the sense of I didn’t see it coming: the hotel in Islamabad blown up by a car bomb down on the street. That really shocked me. And it solidified for us exactly how dangerous being in country really was. Didion: Too right! NO idea that was coming. No wonder I was such a nervous wreck by the end. The scene that really floored me — and the one that wound up presenting me with so many conflicting emotions: when Maya gets on the aircraft carrier. JMM, tell me why you think that scene is so powerful. JMM: I didn’t quite leave in tears but I thought the last few moments with Maya on the big air transport plane, totally alone — with nothing to do — no place to go — and no one to see was a supremely difficult moment for all of us. I think that particular image was deeply affecting. It spoke of the desolation one might have facing the unknown, or the sense of completion of a difficult task which means you are now facing an emptiness There was no other way to convey the moment — it was Bigelow’s point to temper the success of the mission by showing us that for Maya it might be the forerunner of hollowness or depression. If people want to talk about torture in the negative sense, then when you look at this — what Maya is left with — this is really horrifying to contemplate. Didion: I’m so with you. What that scene conveys is that the killing of OBL is almost an anti-climax. The best analogy I can think of is that this must be what it’s like to have a family member murdered, and one dedicates all one’s emotional energy toward catching, convicting, and imprisoning the murderer — only to realize that one still has a lot of grieving to do afterward. 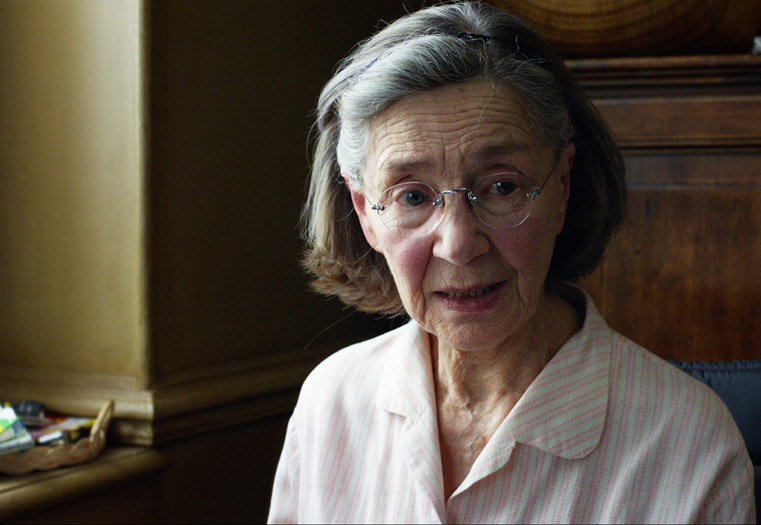 We place a lot of emphasis on retribution, but ultimately this film shows that Maya still just has a big hole in her soul the way the rest of us do. It amounts to a film that is greater than the sum of its parts. An amazing achievement. JMM: Early on I said that the film has been controversial and polarizing. I’d like to talk about a part of that now. A few members of the Actors community have expressed negative perspectives. Chief among those was that they believe Bigelow and Boal were all too comfortable in portraying the torture. While they may have been comfortable about it — I don’t think there was too much of it or too much emphasis placed on the role of torture by the filmmakers. Obviously Ed Asner, Martin Sheen, and David Clennon have the right to express their opinions, but do you believe they are making a fair judgment about Bigelow and Boal’s intent? Didion: Like I said earlier, this is a tough one for me. If I were the judge in this case, I’d insist that we look at the entire film — and the film as a whole emphasizes such humanity that I would be forced to argue the scenes of torture do not constitute an endorsement. But it’s tricky because the film takes for granted — and does not editorialize about — the fact that agents used torture on detainees, and that it helped them get information. I think Asner, Sheen et al are wrong in emphasis but perhaps close to being right about the slippery nature of those early scenes. JMM: Before I answer, I really don’t want to throw the actors under the bus — but I do think it is interesting that none of them spoke up after President Obama announced that Bin Laden had been killed. Was there anyone, anywhere, that rose up and asked how did you get this info. Was torture involved? I don’t think a small Pakistani child called up and said you might be interested to know who lives across the street. Didion: I think you’ve nailed something important: this film is agonizingly clear about the fact that one cannot trust the information you gain by torture. It simply amounts to yet more information, much of which might be false. Rather, this film advocates for the trained analysts whose job it is to think intelligently and in educated ways about the masses of conflicting information — indeed, about the sheer vast bulk of information. JMM: I want to ask about a particular scene that did trouble me. And this might have been a bit of the Hollywood in the film — or make that a small bit of overriding luck. They are able to get their hands on a phone — clone it, and then with their sophisticated tools — somehow they end up driving right NEXT to the car with the courier. Did you find that believable? Talk about your needles in a haystack…. Didion: In such a long, methodical film it DID seem improbable (and quite fuzzy on the details), didn’t it? JMM: I’ll give them time compression — it might have been many long months — but how did they get the phone — I’m a bit unclear on that. Didion: So one of the things I said at the beginning of this conversation — a big, sloppy, grand statement — is that it’s the best thing I’ve seen all year. Is that too grand for you, JMM? 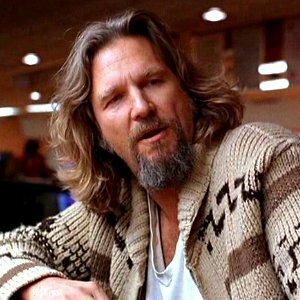 You’ve seen a lot more films than I have — and have written about them wonderfully, so I imagine you have a strong opinion on this subject. JMM: I’ll go you one better. I think this was the best film of the year and I think that I have to go all the way back to All the President’s Men to find a film based on real events that I liked as much as ZD30. I think I measure a film by a number of standards but ultimately always ask whether I was engrossed by the film. Did it captivate me to the extent that I wasn’t bothered by the folks chomping popcorn a few seats away. I was fully and totally invested in this one — and for me, that’s a prime indicator of its excellence. Didion: Let’s keep slathering on the superlatives, shall we? As an academic I often find myself squirming when I think real-life events are portrayed in ways that don’t fly. So even though I have no idea what torture looks like, how a black site works, or how CIA operatives figure stuff out, I do know that absolutely none of those depictions onscreen felt phony or Hollywood-ized. 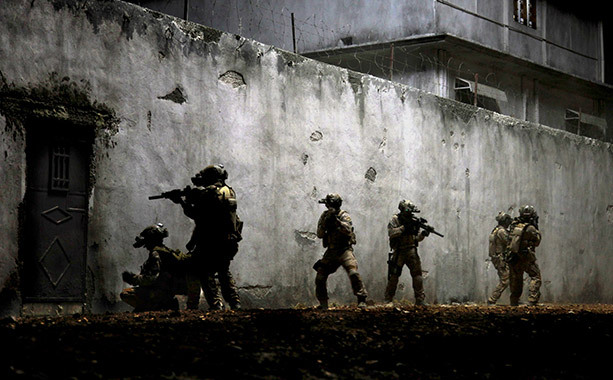 For examples, see virtually every Hollywood film made about a historic event. But I’ll go ya one further: this film is somehow also about us, about we who experienced 9/11 and have not learned to grieve. It leads us through a process of killing the architect of that attack and mass murder, but it does so such that we can get someplace beyond the drive for retribution. 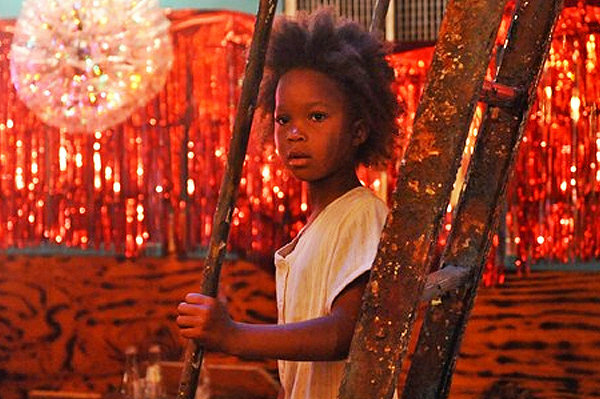 I don’t know what to say beyond the fact that this is an amazing film — I’ve never seen anything like it. Even All the President’s Men didn’t deal with such subjects like the importance of figuring out who we are once our primary bad guy is dead. Or the fact that once he was dead, he just looked like an ordinary old man. I’m not sure how far I’m willing to go with superlatives. But I’m tempted to say it’s the most amazing film achievement of the last ten years. JMM: Well if that isn’t the grandaddy of superlatives than I don’t know what is. But I very much liked the reference you made about “who we are”. We are the ones who created the terms Enhanced Interrogation. I’m reminded of Hannah Arendt’s The Banality of Evil (which ties in with your remark about OBL being “like an ordinary old man”). 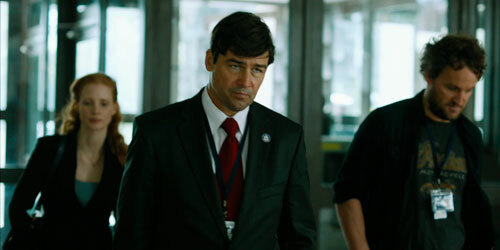 In the Bourne film, David Straithairn says that the CIA is now ‘‘the sharp end of the stick”. Didion: Tell me, JMM, have you seen anything else since watching ZD30, and are you now ruined for the rest of the films available in theaters at this time of year? Forget it Didion — it’s January — there won’t be anything good coming out for a while. Or at least until April. Didion: Sigh. I have a long list of things to see in the theater, but I just can’t imagine I’ll be able to see them without being disappointed. How you gonna keep ‘em down on the farm after they’ve seen ZD30? JMM: My pleasure to have had the opportunity to work with you once more. I’ll raise my glass to that too! Do you remember how it felt as a child to misbehave — to behave so badly that you wondered if your soul had turned permanently bad? For me it was sometime around age 11. I became a horrible person, and I couldn’t stop being that person. I was mean to my sister on a new level, outdoing my previous triumphs at cruelty. Worse, I could not stand my mother. We entered a short period in which I was unbearable to her in a way that I still cannot quite understand, intellectually or otherwise. If I had been Terrence Malick and had grown up in 1950s Waco, Texas, I’m quite certain I would have understood this part of my life through a biblical framework. How could you not? The bible is full of tales of fathers and rebellious sons, brothers who battle one another — and distinctions between those who are chosen and those who are fallen. Good and evil; choices; fateful acts. In that context would I have seen myself as evil? Would I have asked whether one be saved from evil, or regain grace? Instead, I grew up female, later in history, and without religion. Thus I wonder, are these questions of Malick’s, so beautifully captured in The Tree of Life, not just Christian but male ways of seeing the world? I loved, loved The Tree of Life — and because none of you needs yet another critical assessment of the film as a whole, let me don my gender hat instead. I do so in part because Malick’s work always struck me as painfully, extraordinarily sensitive to women and the strange, dark, inexpressible relations between women and men. Even just thinking of the voiceovers by Sissy Spacek in Badlands (1973) and Linda Manz in Days of Heaven (1978) breaks my heart. Tree of Life seems different, male. 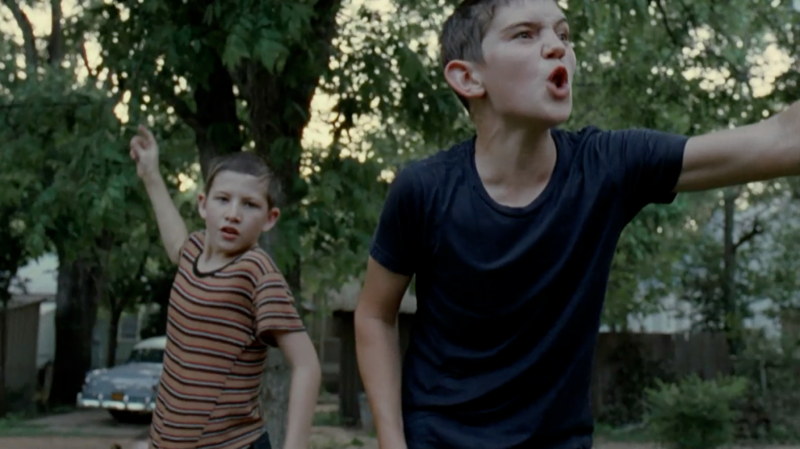 This is the most amazing film about childhood I’ve ever seen; but it seems to me not a universal story but one about boys. This film is deeply, profoundly concerned with manliness and patriarchs. 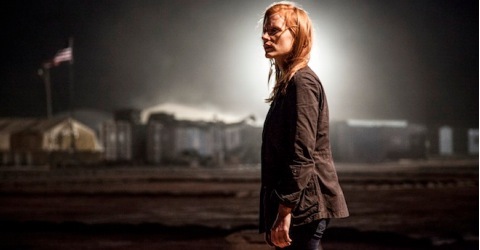 “There are two ways through life,” his mother (Jessica Chastain) tells Jack (Hunter McCracken), “the way of nature, and the way of grace.” So close to grace that she’s nearly angelic, she infuses her young son with close attention to the wonder of nature and protects him from the world’s terrors. In one scene she dances with a monarch butterfly, which lands on her hand; in another short clip, she spirits her son away from the disturbing sight of a man having a seizure on their front lawn. Yet ultimately her way of grace can’t protect them from the husband/father (Brad Pitt) whose dissatisfied, striving character makes the “way of nature” so impossible to ignore, and so interchangeable with “feet of clay.” Surrounded by brothers and those neighborhood boys who run in packs, Jack is utterly focused on his father’s quickly changing moods, on the project of being male. Pitt’s jaw juts out just a little bit more than usual in this role — it’s so subtle, so evocative of the resentment and cussedness always simmering below his steely surface. (This is the best acting I’ve ever seen from Pitt; it’s crazy good, and he’s absolutely found his match in the exceptional Hunter McCracken as the young Jack.) He can be such a loving father, but the love is overshadowed by terrifying moments in which he educates his sons in manliness. “Hit me!” he says to his sons when he tries to teach them how to box, simultaneously glaring and smacking his own jaw to indicate where to aim. In another, rare confessional moment he admits his mistakes to Jack: “Don’t do what I did.” He rules the dinner table with an iron fist; it’s tricky even to know how to pass the mashed potatoes, so Jack watches his father closely. Everything about his father’s physical presence — those heavy glasses that serve as a mask, the military-trim crew cut, the beefy hand with which he grabs his son by the neck in an expression of simultaneous affection and control — bespeaks a man constantly wrestling with himself. Kartina Richardson puts it most succinctly: the film shows that “to be white and male is not only to be in a prison, but to be the prison itself,” over at her elegant blog, Mirror. Malick spins outward from this personal story — especially the tale of the older Jack (Sean Penn) still disturbed by the death of his brother at age 19, a moment we only see via a telegram arriving at his aged parents’ house — to the biggest questions we have. In breathy voiceovers, we hear Jack at various ages asking, “Where are you?” “Why am I here?”, that universal set of questions about existence we keep asking over and over. Is he asking God these questions? Is he asking his dead brother? “Mother. Father. Always you wrestle inside me. Always you will,” the younger Jack whispers to us. But it’s really Father, isn’t it? 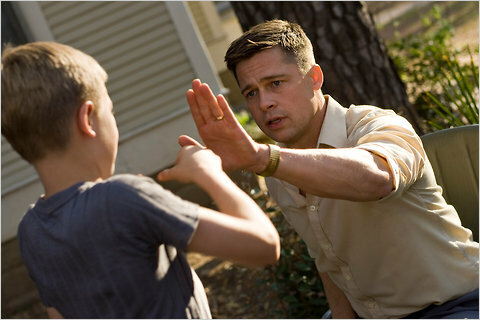 And beyond that, isn’t Malick really wrestling with a Christian god? Thus, as much as I loved, loved, loved the film, I ultimately found it oddly disconcerting that for him, the universal questions have that Christian overlay with its oppressive, problematic manliness. As important as my father is to me and was to my childhood, his role was so non-patriarchal that I feel all my own hard questions were inflected by different problematics than Malick’s. I knew when I walked into the theater that Malick infused his story with some of those piercing, unanswerable questions; but when I walked out I felt a little bit farther away from my own questions, those which troubled me so deeply and which still occasionally wake me at 3 a.m. The Tree of Life seems ultimately to tell a story of a particular kind of man looking backward. But whether or not it portrays something universal, it produces a sense of wonder in the viewer — by means of those amazing shots of nature, astronomy, bubbling volcanic magma, mysterious fires — such that I spent all afternoon today hiking in those beautiful rare wild parts of New Jersey with all five senses heightened. 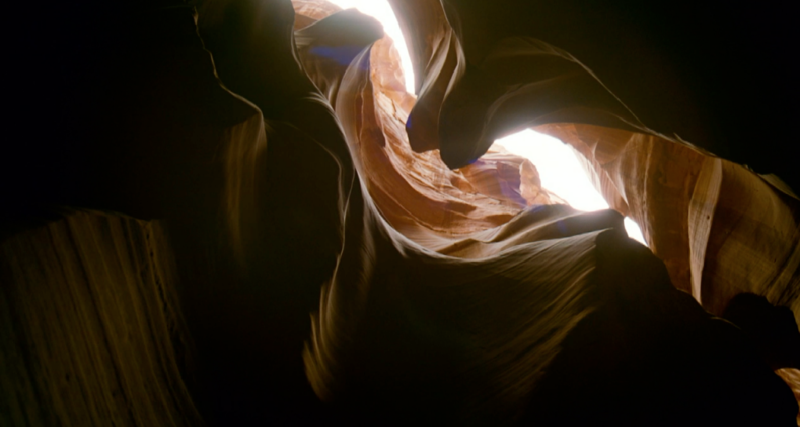 Sometimes the beauty of a bird flying, light shining through a canyon, or a shot underwater of waves crashing up above is enough to humble you to the core, to break your heart at the passage of time. Oh, the back and forth between the divine and the specific. 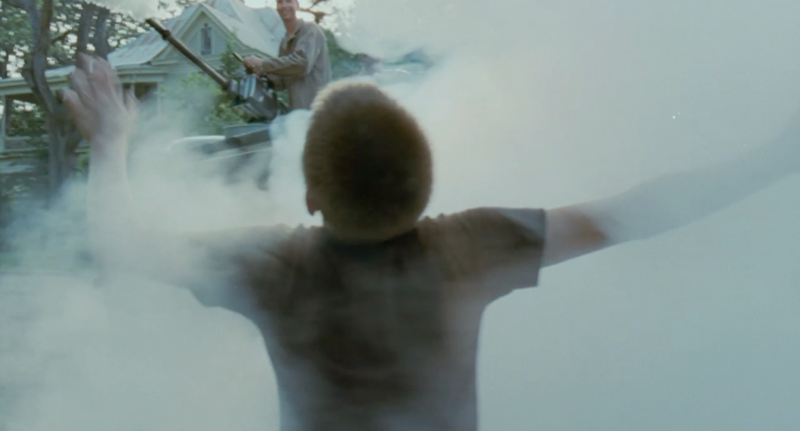 Most of all, the scene that stays with me is that of the boys racing out to greet the DDT truck that wandered the streets in the 1950s to eliminate mosquitoes with a delicious cloud of fog. My mother tells an identical story from a different 1950s childhood (indeed, she and Malick are nearly the same age). Somehow the specificity of this scene creates the same delight as the waves and canyons and cathedrals. It’s in that cloud of whispered questions, lost innocence, half-remembered moments, and that fog of shots that you lose yourself. All of it, including the autobiographical parts, seem to show the world from a child’s height, as the camera looks up at Jack’s parents or at the dome of a beautiful building: spectacular. This film may be the story only of one boy’s life, his own patriarchal Christian questions, but you won’t leave the theater quite the same.